Amazon Underground is “Celebrating the 25th Anniversary of Sonic the Hedgehog” by giving away FREE $10 Amazon Gift Cards. Follow the instructions to get yours – but don’t wait, this is only good for the first 15,000 customers! 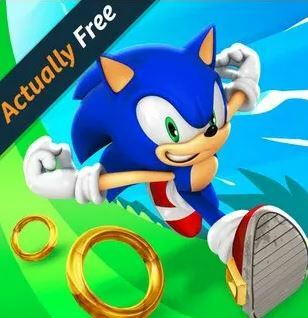 Download Sonic Dash for FREE with Amazon Underground App (Android or Amazon device only). If you don’t have the Amazon Underground App, head HERE and enter your email for the download link. Then, go to your phone Settings page and tap Security or Applications (varies with device). Check the Unknown Sources box and then Confirm with OK. Under your download page or my files, find Amazon_App.apk and install. Open Sonic Dash and start playing and collect 2,500 Amazon Delivery Boxes for a Free $10 Amazon Promotional Gift Card. If this is your first time playing Sonic Dash, you will need to complete one run (tutorial) and then you will see a notification inside the game for the sweepstakes. Upon starting your second run, you should begin to see the Amazon delivery boxes immediately. You will need to collect 2,500 Amazon delivery boxes and fill out the in-game form in order to receive your $10 Amazon.com gift card. This is running until June 30, 2016 or the first 15,000 customers. After you collected 2,500 Amazon delivery boxes, fill out the in-game form with your email; Gift Cards will be processed on July 1st and will take up to 3-5 business days to be delivered.